Berklee Online's undergraduate and graduate degree programs are the most affordable and flexible option for earning your music degree from Berklee College of Music. Connect your passion to a career in the music industry. In the Bachelor of Professional Studies program, you'll learn from the same first-class instructors who have made Berklee College of Music a world-renowned institution. Whether you're just beginning your musical journey, or you're looking to sharpen your tools, our undergraduate programs will help you hone in on your talents, refine your skills, and enrich your musical life. Transfer up to 60 academic credits earned from an accredited institution, or earned from our certificate programs or individual courses, to your undergraduate degree. Our graduate degree will accept up to 6 academic credits earned from an accredited institution. Berklee Online offers rolling admissions and, in general, will issue decisions for completed applications within two weeks. We recommend completing your application early so you can receive a timely admissions decision, transfer credit evaluation, and financial aid award. Berklee recognizes that students often have considerable previous learning, work, and life experiences in their chosen area of study. Through prior learning credit, you can earn up to 30 credits toward the Bachelor of Professional Studies degree program. 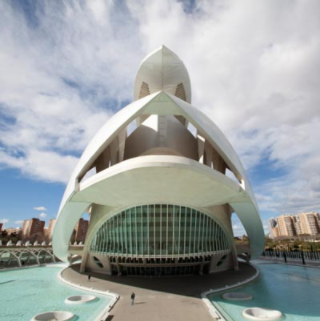 The Berklee Study Abroad program offers Berklee Online undergraduate degree students the opportunity to study for a semester at our international campus in Valencia, Spain.